In our last blog post, we spoke to medical professionals regarding the idea of bringing the cannabis industry in an inclusive conference – one that gave new engagement opportunities for every aspect of the industry. In this post, we’ll review the insight that we gained from speaking to dispensary owners. Understandably the way that dispensary owners interact with patients potentially exists at the forefront of their concerns, and how they determine what types of events and conferences they attend. So having an awareness of the levels of intersection between these disparate areas of the medical cannabis industry provides dispensary owners with knowledge that is instrumental in providing the best possible care for their patients. What are the hurdles you foresee for bringing groups with different interests together? Who do you see as being the silenced voices? The audiences that do not get addressed at these varied conferences and events that need to hear what’s being shared? How would you envision patients being provided educational resources at these conferences? And how would that inform how you interacted with them in your dispensaries? 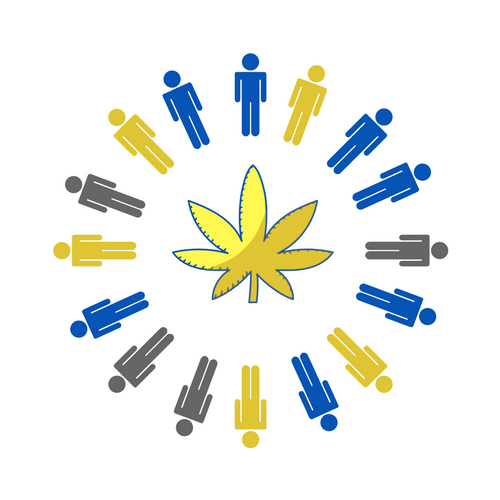 What are the weaknesses of existing conferences when it comes to supporting the dispensary/patient relationship? How could those deficiencies be addressed? The dispensary owners we spoke to mentioned a strange balance of competition and exclusion between the separate areas of the industry – whether that meant some lifestyle brand based events excluding the medical side of the industry or the instances where business conferences are single minded in regards to building revenue streams over creating genuine patient engagement. For example, with some of those lifestyle brand centered events there may be vendors that set up smoking lounges that some members of the academic and research side wouldn’t be interested in, while academic conferences may be composed of a series of dry presentations with no entertainment value that go above patients’ heads and do not engage lifestyle brands. Moreover, business conferences are single minded in that they appeal to the business owner and/or operator. At these conferences, the dispensary owners we spoke with told us, if vendors are unable to sell you their product, they don’t want to talk to you. This mentality carries over into presentations where speakers consistently frame their talks on how to get more money. Overall, these conferences and events are made for one audience with really only one point of view on how people should operate in the business world of cannabis. Additionally, one concern that was expressed was the fact that conferences can generally be very expensive which sets up a paywall for patients interested in the topics these events can cover. How can a patient justify spending so much for a day for just an informational session when there is little likelihood they will get additional value or one on one time beyond that? And within that proposed environment, how could the social aspects be improved to facilitate the best experience for patients? There would likely need to be just as much entertainment as education – with vendors showcasing quality of life improvements, music from bands and artists that are also advocates for the industry, and additional factors like food. Further, there would need to be more hands-on things like interactive workshops and sessions. And academic research could be presented in different forms like presentations, keynote speeches, and the aforementioned breakout sessions and workshops. The transition from research to involving and engrossing workshop doesn’t have to be difficult with the right amount of creativity. All of these elements would be centered around helping to bridge the gap between resource and research based conferences and engagement-building, advocate-fostering events, and ultimately they would be built on a foundation of a framework of patient empathy. Part of this foundation is also understanding what is off-putting to some groups and trying to eliminate or minimize those negative feelings by putting together something that respects the point of view of all the different groups in attendance – because there is a clear dedication to understanding the patient experience. As we conclude this blog series, our next entry will engage the audience that may potentially gain the most of an inter-sectional conference setting – the patients, themselves.